With the price of oil on the rise and oil exporting countries becoming increasingly unstable the US government is figuring out how to get more oil from domestic sources. Keep in mind that it takes years for an extraction project to bring oil to the market. More drilling in the US will not take care of short term problems, and it obviously won’t take care of 50 or 100 year problems. The amount of raw resources amount of raw resources that humans extract annually will likely triple in the next 40 years. Where is all of this raw material going to come from? Scholastic, a publisher of children’s books, has come under great criticism in the last week for releasing a line of “energy” teaching materials created with the coal industry’s money. In its defense, the coal industry said that their intent was to give kids material that they could understand while educating them about the benefits of coal. The negative aspects of coal are assumed to be exposed to the kids in other ways, like when they get asthma and want to know why. California’s Silicon Valley is doing amazingly well in this economy. It is also partly defining itself by becoming the center of green entrepreneurship in the US. The Economists wonders though if another bubble is building. Google is developing a system that will allow you to control your home from your phone. Imagine being able to turn on and off appliances whenever you want, push a button and all the lights turn off, push a button and your AC turns on 10 minutes before you get home. We could use energy only when we actually need it. The 3D printer is finding its way to common use. Imagine a future where we print our products instead of make them. Instead of assembling products, we can just fabricate them. Khosla, A biofuel company, is trying to hit it big and become a publicly traded company. The company and the industry itself doesn’t seem big enough or profitable enough yet. Every PV solar system needs an inverter to turn the electricity from direct current (DC) to alternating current (AC). The current system for doing this is not ideal, but microinverter technology is improving and can increase the efficiency of a solar system. 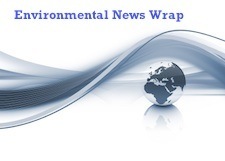 Renewable Energy World reports. Islands are sinking, but sea level rise is not the only culprit. Islands constitute the first major land mass that is disappearing, and it bring up many questions for the future; where will people go from sunken land, will anyone be compensated for losing their land, what nationality is a person from a sunken land, can a government exist without dry land…? A contributor to the Guardian goes on a rant outlining the scientific misunderstandings of a fellow English journalist that does not believe in global warming, stating that Christopher Booker publishes false statements without rebuke.